When you think of take away, it’s easy to get put off by the thought of sloppy burgers and soggy chips. Well, lucky for you, El Bigoton is here to relieve all your takeaway nightmares. 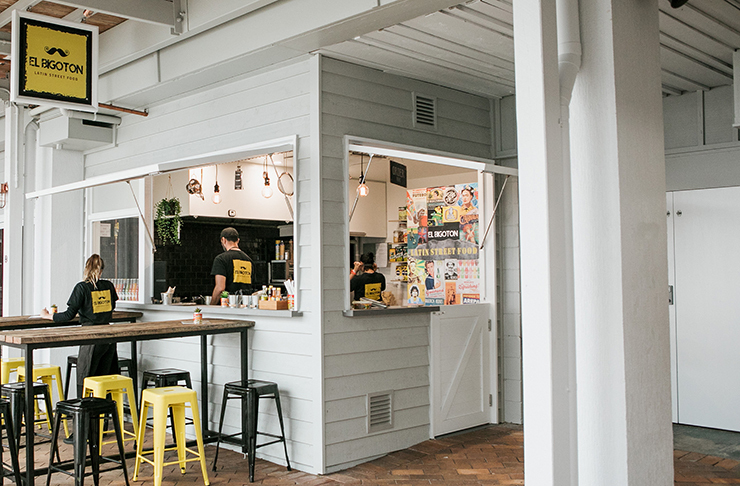 Tucked away in Mooloolaba’s new The Wharf precinct, this humble little canteen style eatery is changing the takeaway game on the Coast, one arepa at a time. El Bigoton’s ethos is simple; they want to bring the best of Latin American street food to the Coast by making all their food from scratch with authentic and traditional flavours and ingredients. This mission is clearly reflected in their menu, which is jam packed with delicious traditional dishes and street snacks. Think Brazilian Picanha, chicken, beef or pork arepas, and grilled corn with a drool-worthy house aioli and melted cheese. And don’t worry, all the original favourites are there too. Nachos, tacos, quesadillas and burritos are available with a range of authentic fillings that will blow your mind. 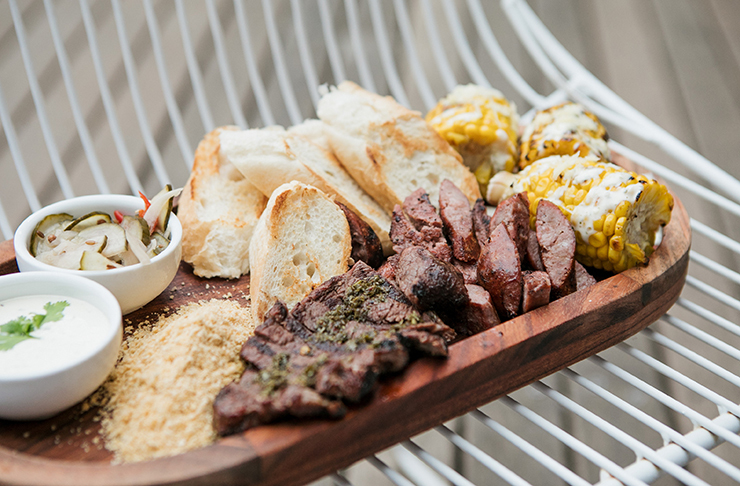 Or, if you can’t decide, just order the chef’s char grill board and treat you and your mates to a feast of perfectly prepared rump cap, parrillero chorizo, sweet corn, bread, chimichurri and El Bigoton’s special aioli. Yes please. The best thing about El Bigoton is how fresh and authentic their food is (which is not common on the take away scene). They cook their own beans, rice and sauces, marinate their meat with real spices and herbs, and make their own authentic soft tacos and arepas with Venezuelan corn flour, meaning they are 100% gluten free and 100% delicious. Although it is primarily a takeaway joint, El Bigoton does have some relaxed outdoor seating, making it the perfect pre or post surf catch up spot. The small canteen style service window, vintage Latin American posters and friendly staff all contribute to El Bigoton’s authentic street food vendor vibe. So, want our recommendation? Stop by on a sunny Saturday arvo, pick up some braised beef and chorizo tacos, grab a bottle of Mex Cola, and head to the beach to enjoy your fresh, delicious and authentic takeaway. Game changer. Want more? Have you checked out La FInca? It's also just opened up inside The Wharf too.